The Perfect Chocolate Chip Cookies have a little crisp to their outer shell but are soft on the inside, and extra chewy. They’re easy to make (you don’t even need a mixer! ), no chilling the dough, and they stay soft for days. 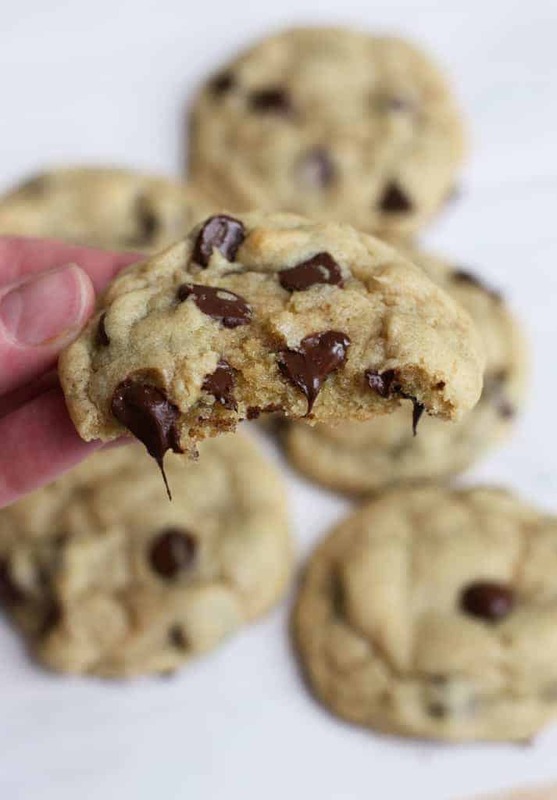 This is the perfect chocolate chip cookies recipe you’ve been searching for! Today I’m sharing the most basic, amazing recipe of all–Perfect Chocolate Chip Cookies. 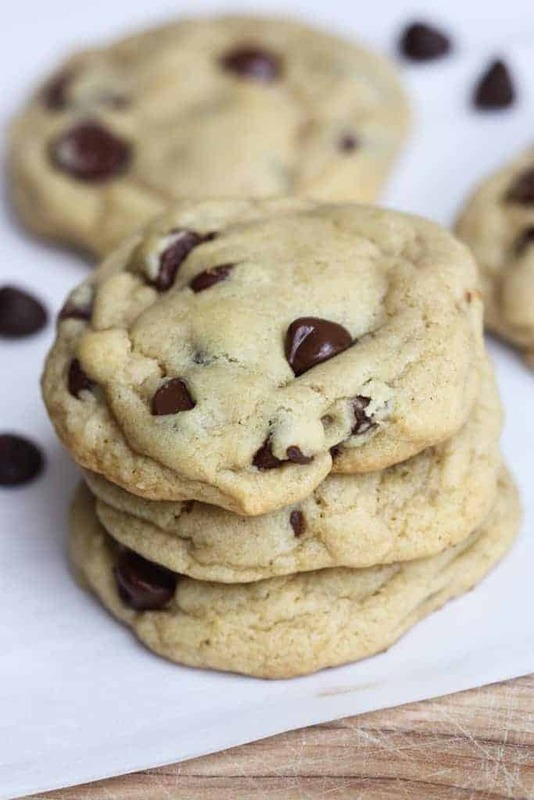 Anyone reading this probably already has at least 1 or 2 chocolate chip cookie recipes they love. I get that–it’s a classic, and I’m one of those people, but these are my all time favorite! Coming in close second is Mrs. Fields Oatmeal Chocolate Chip Cookies , because I love the addition of oats. Apparently chocolate chip cookies were invented in 1938 by a women named Ruth Graves, who was an American chef. I could just kiss her for bringing such a perfect dessert into the world :). What’s so special about these cookies? Unlike most cookie recipes, these chocolate chip cookies are made with melted butter, instead of softened or room temperature butter. Typically melted butter in cookies has a reputation for producing cookies that are flat and thin, but not here, thanks to recipe testing by Cook’s Illustrated. Since we know that melted butter in brownies and other baked goods makes them extra chewy, Cook’s Illustrated created this recipe with that in mind, but calculated the other ingredients to ensure the cookies would hold their shape, and stay thick and chewy. This recipe also calls for an extra egg yolk, rather than a whole egg. The extra egg yolks helps with the thick and chewy texture and helps the cookies to stay soft for days longer than regular cookies. 3. More brown sugar than granulated sugar. Moisture content in cookies helps to make them chewy, and that is why this recipe contains more brown sugar than granulated white sugar. Brown sugar has molasses in it, making the sugar more moist, which will lead to a chewier cookie. So, thanks to the recipe tester’s at Cook’s Illustrated for creating the perfect thick and chewy chocolate chip cookies of my dreams! Start by melting the butter for about 45 seconds in the microwave. You want it mostly, but not completely melted. Remove it from the microwave and stir it with a spoon until it’s completely melted. Allow the melted butter to cool off while you prepare the rest of the ingredients. Add the dry ingredients to a bowl: flour, baking soda and salt. 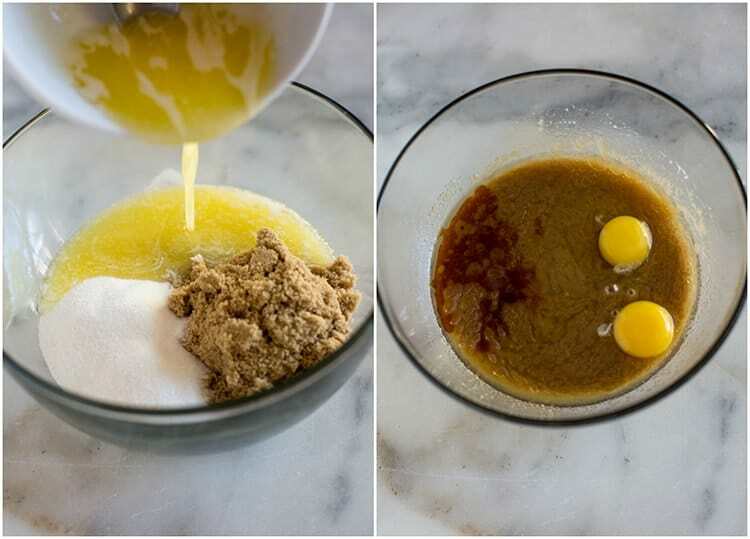 Add the brown sugar and granulated sugar to a mixing bowl. Mix in the melted butter, mixing until smooth. Add the egg, egg yolk and vanilla and mix until combined. Stir in the dry ingredients and chocolate chips. Just as with most baked goods, once you have added the dry ingredients, don’t over-mix the batter. If your cookie batter is beaten too much, the cookies will be more dense. Prepare a baking sheet with parchment paper or a baking mat. 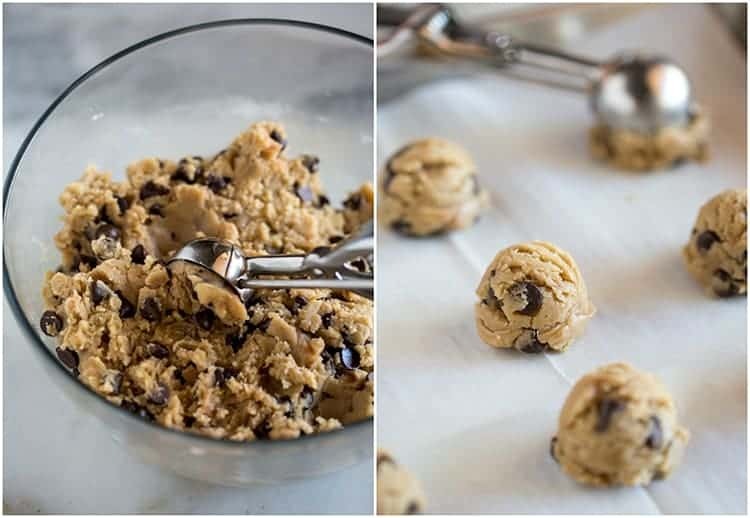 Scoop the cookie dough and place on baking sheet. Bake at 325 degrees F (yes, you want to bake them at 325 degrees, not 350 degrees.) for about 10-12 minutes or until they’ve lost their sheen on top and just barely look like they’re starting to set. They won’t be golden brown around the edges. The cookies will continue to cook and will harden as they cool on the hot baking sheet, out of the oven, so don’t be tempted to over-bake them. You can always put them back in the oven for additional time, if needed. 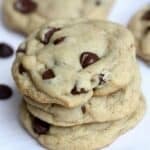 The Perfect Chocolate Chip Cookies have a little crisp to their outer shell but are soft on the inside, and extra chewy. They're easy to make (you don't even need a mixer! ), no chilling the dough, and they stay soft for days. This is the perfect chocolate chip cookies recipe you've been searching for! Heat oven to 325 degrees F. Line a baking sheet with parchment paper or a silpat baking mat. Melt the butter for about 45 seconds in the microwave, until it's almost completely melted. Remove and stir it, allowing any remaining butter to melt. Allow the butter to cool until it's almost room temperature, but still a liquid. In a medium bowl mix together flour, salt, and baking soda. 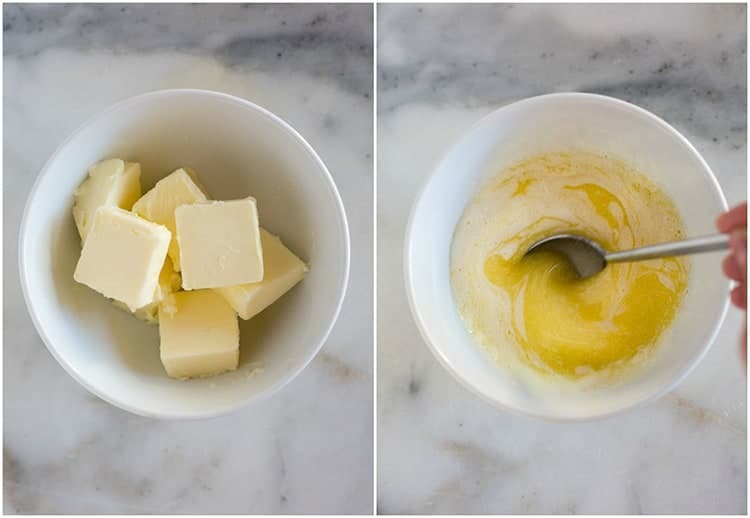 In a separate large mixing bowl mix the butter and sugars together until well combined. Add the egg, egg yolk, and vanilla and stir until combined. Stir in the dry ingredients and chocolate chips, just until combined. The dough will be soft. Gently scoop dough into balls and place on a cookie sheet. Bake for 10-12 minutes. Store in an airtight container. I originally shared this recipe Feb. 2015. Updated May 2018. Don’t use a Teflon or coated cookies sheet. A non coated sheet works great ! They don’t slide while baking and become flat . Make them tall like an egg on the sheet before baking. They will come out much thicker !!! These cookies are…yum! I bake all the time and am always looking for the best cookies/desserts. I feel like I’ve tried these before but can’t remwmber for sure. I’m trying recipes that I have pinned and if I don’t like them I’m throwing them out. This one is a keeper. Several people have pinned this recipe from me and I looked at some of the pictures they posted of their end product…good thing I didn’t throw this one out based on the looks of most of them.ha. I don’t get how people can follow the same recipe and get completely different result. This was the first batch of cookies I have ever made from scratch in my life. They were delicious. We had to add a couple of extra minutes but that just may be our oven. Thanks for a great recipe. Great dad n daughter activity.